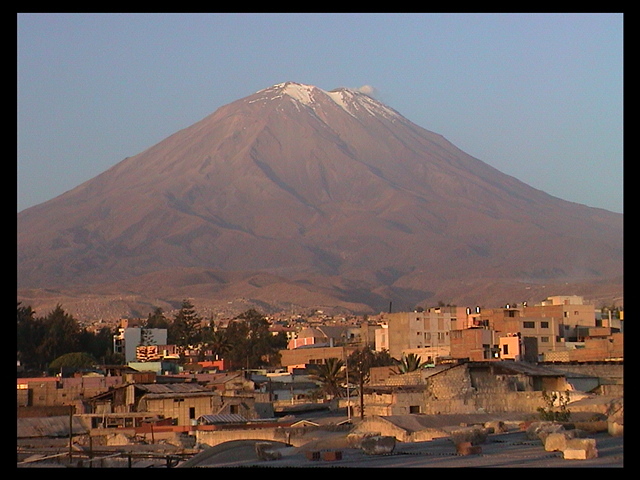 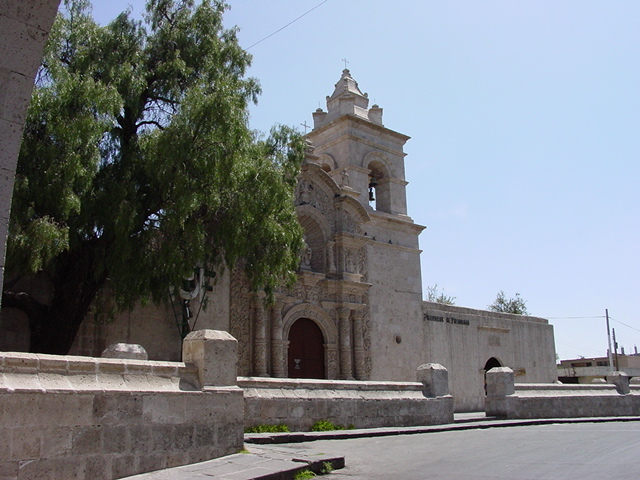 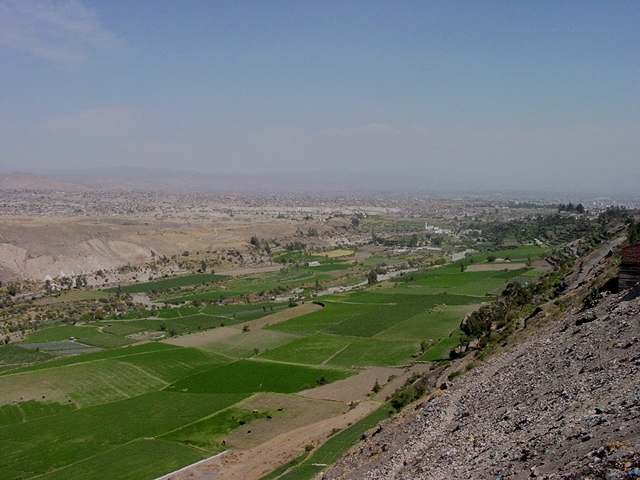 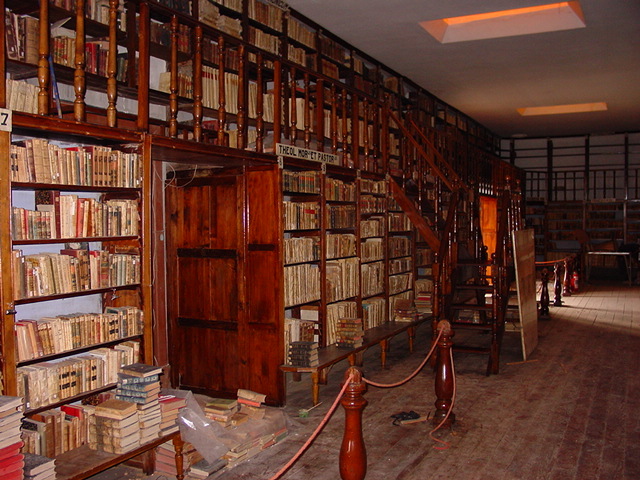 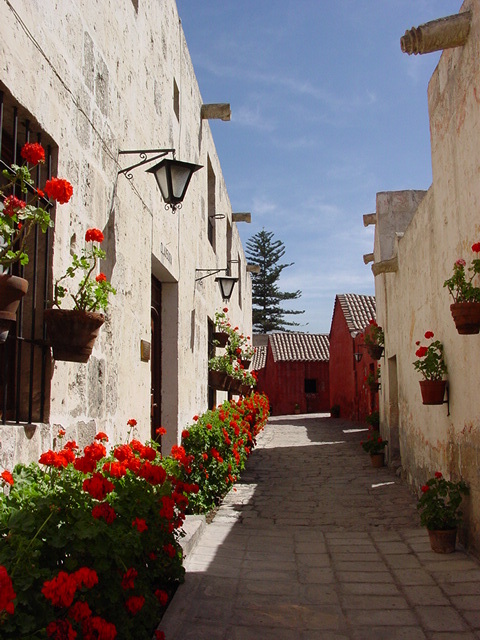 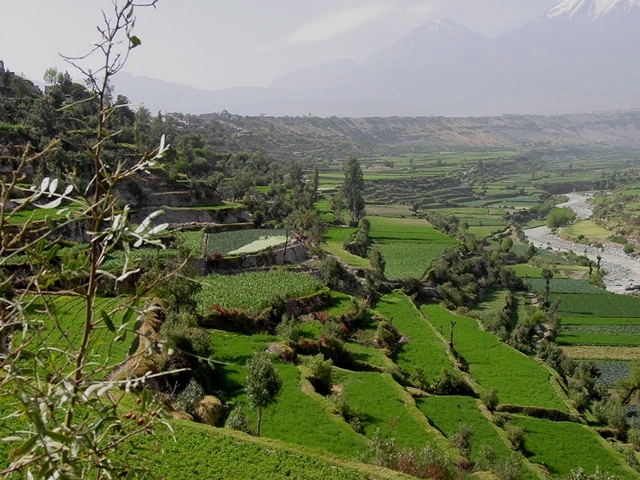 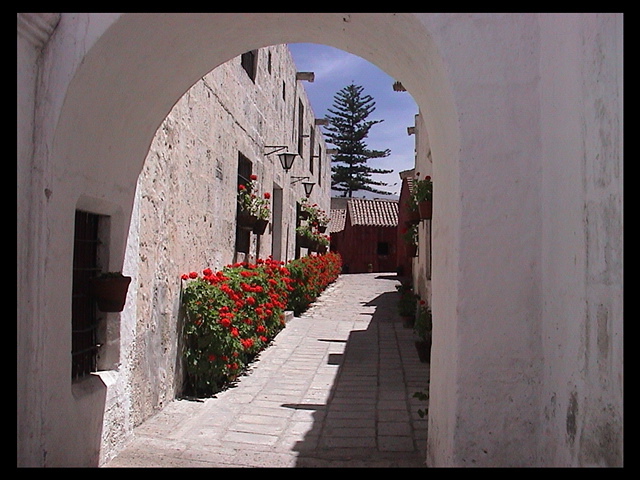 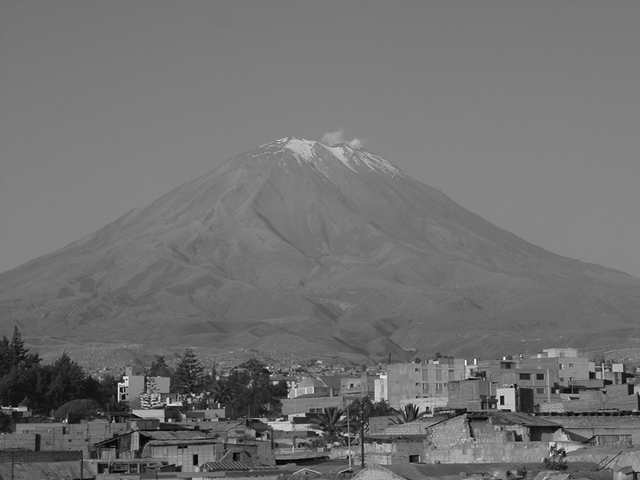 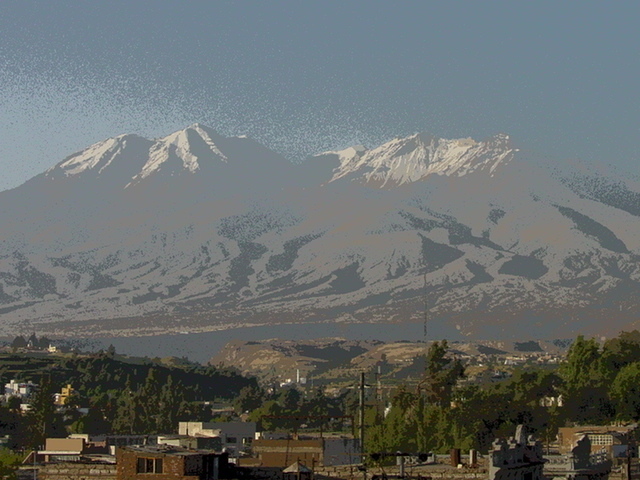 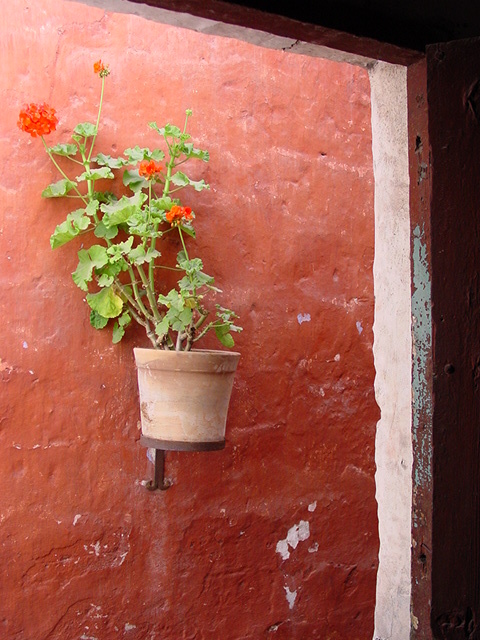 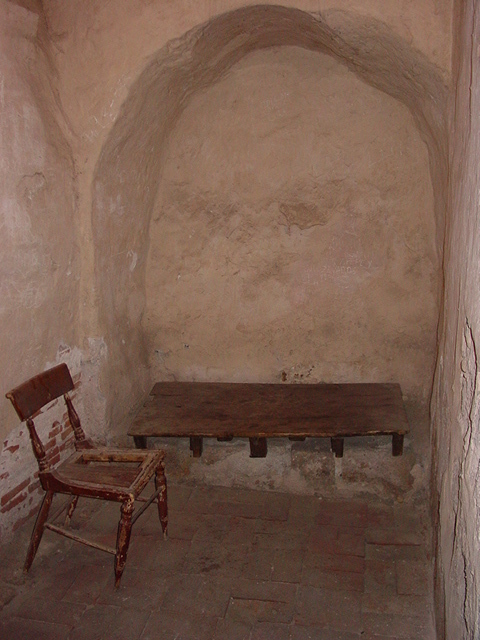 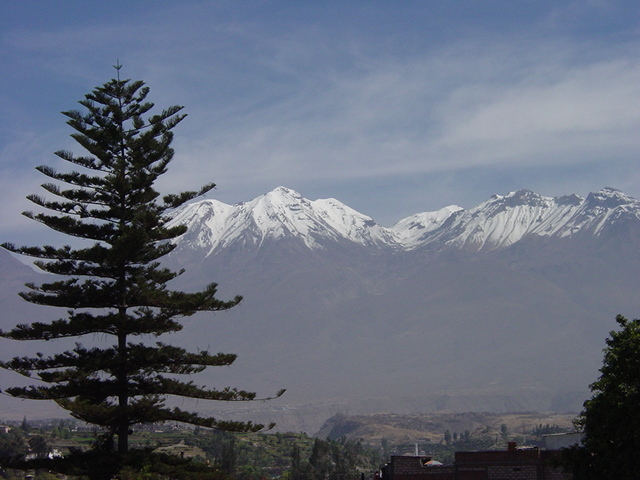 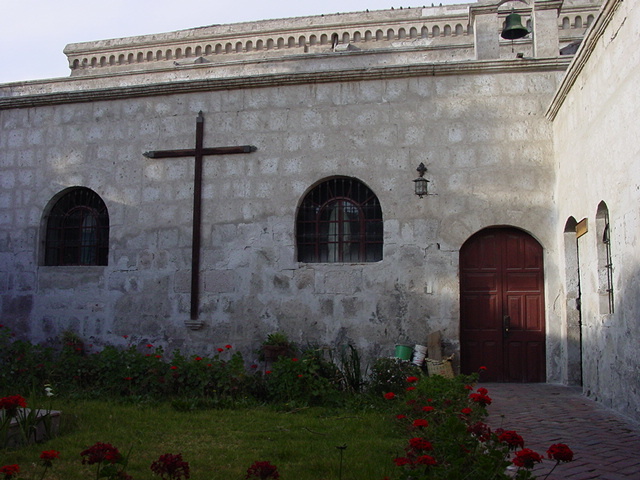 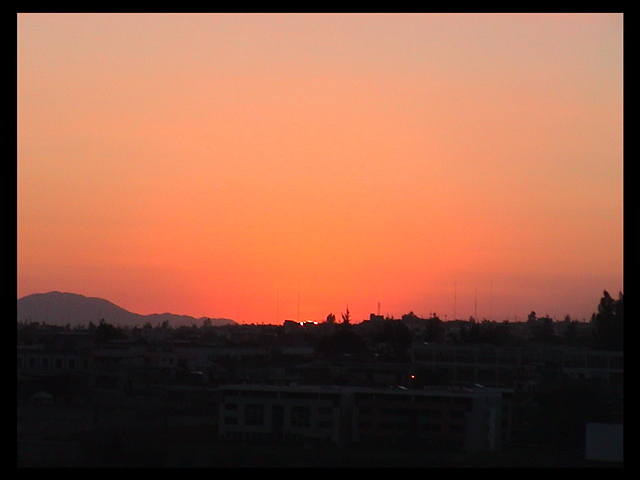 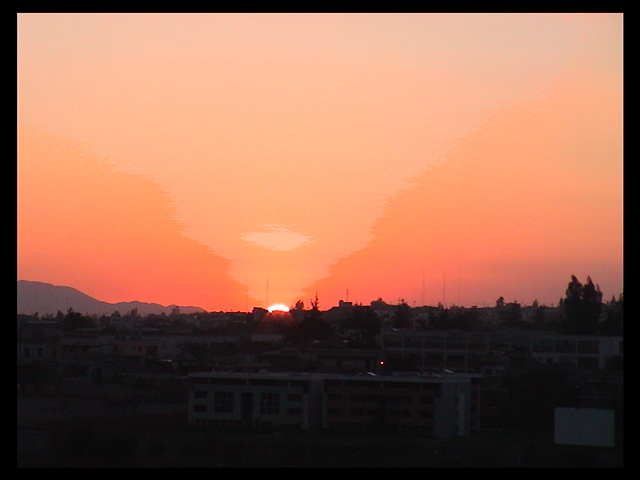 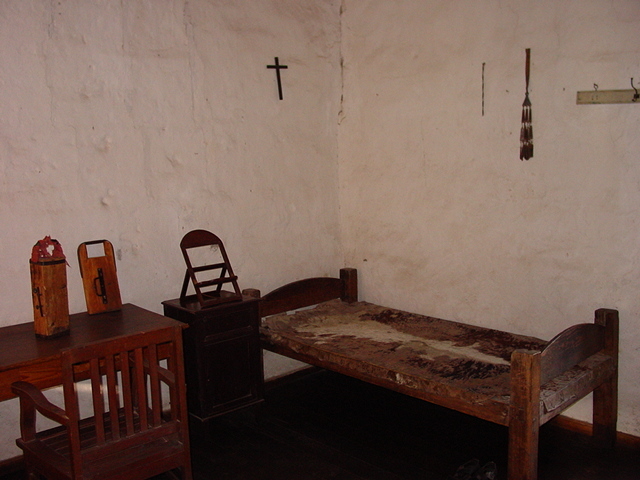 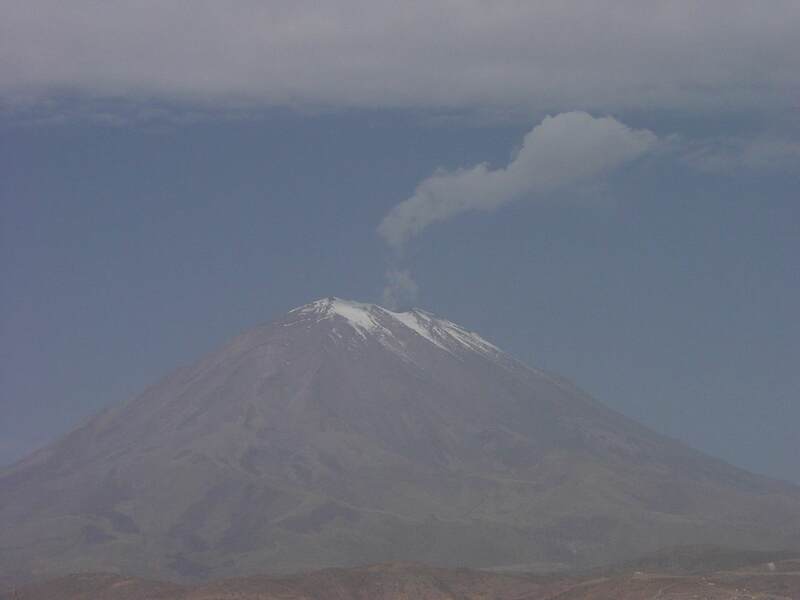 Arequipa is located in the mountainous desert of the Western Andes at just under 7,000 feet in elevation. 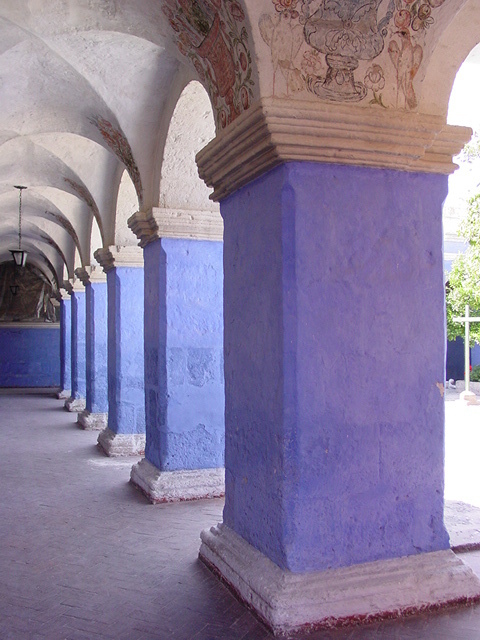 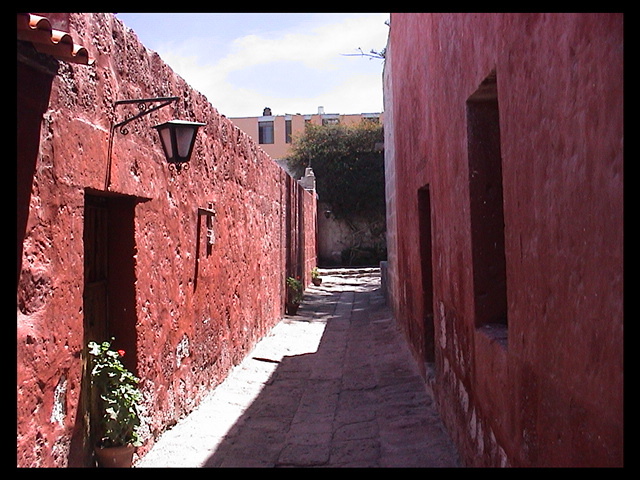 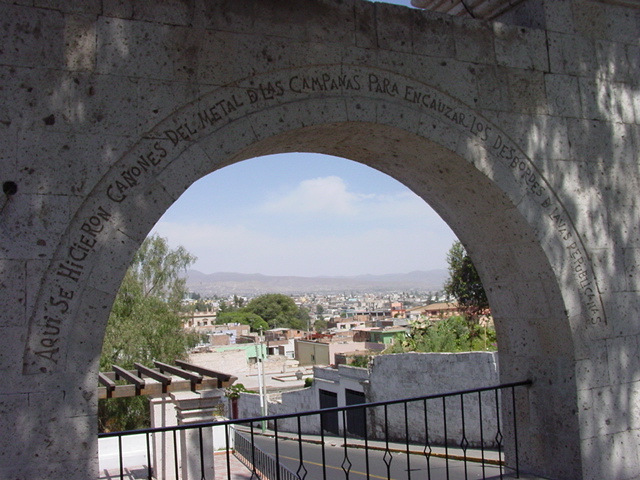 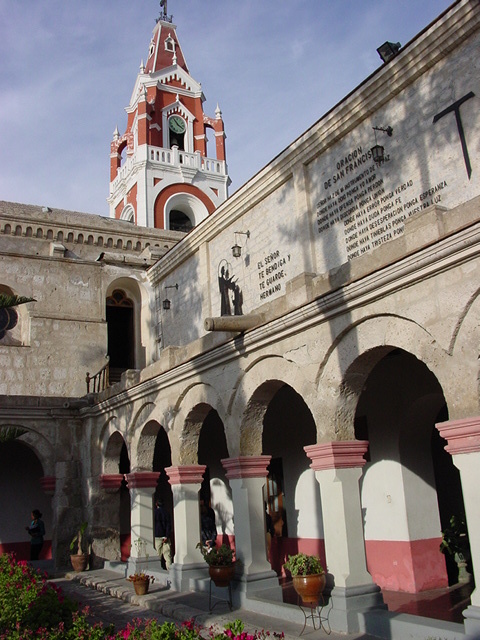 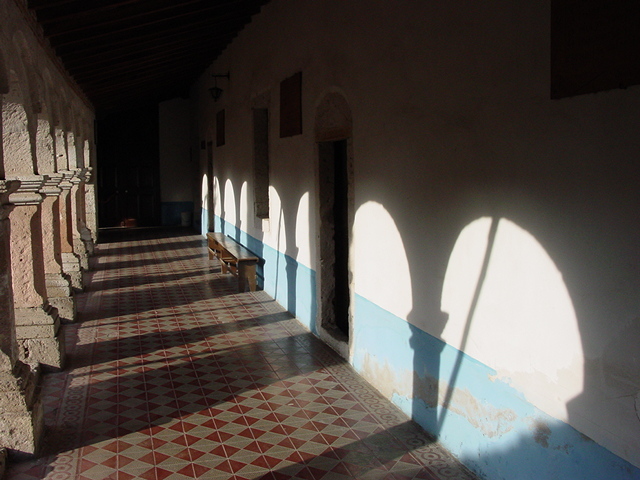 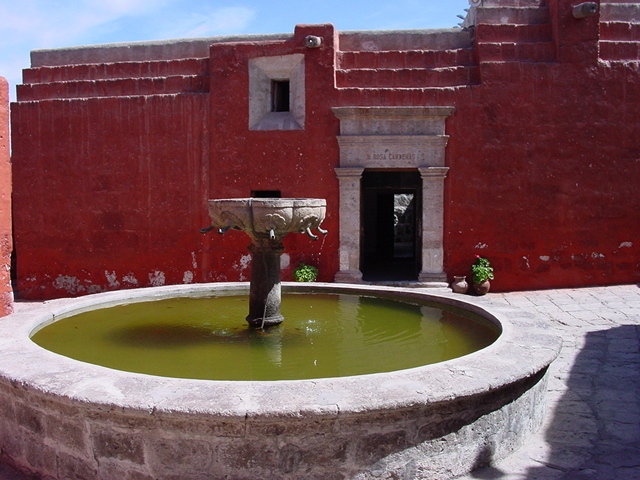 Many of the city's buildings date back to Spanish colonial times and were built with a light-colored volcanic rock that, in the sun, shine brightly, giving the city the nickname "the white city". 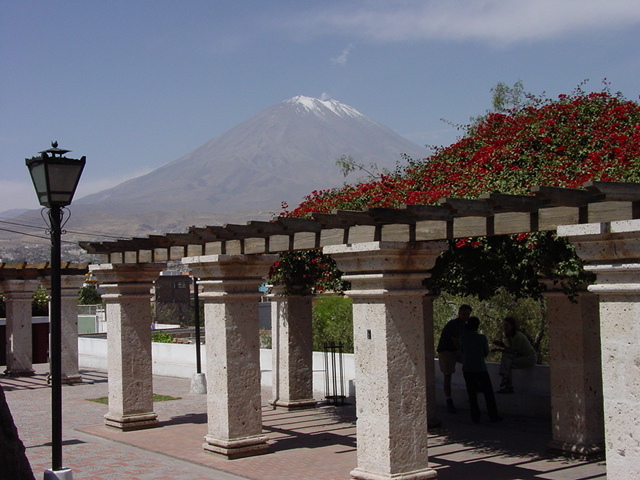 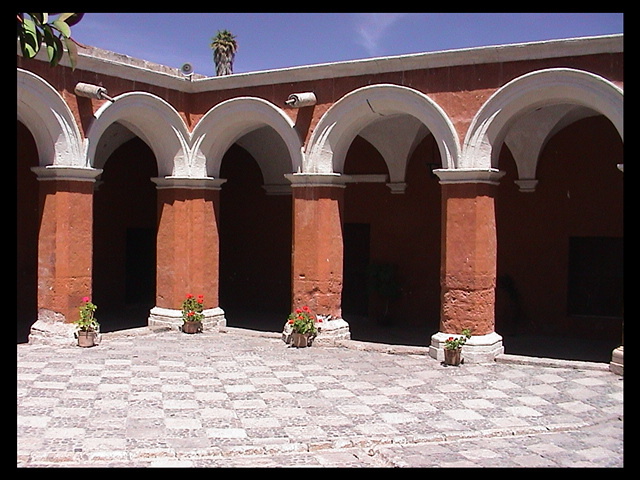 This architecture, along with the close mountains and volcanoes make Arequipa one of the most beautiful cities that I have visited.